A while back, I wrote about the various resources I use to select names for characters. Now, I’d like to add one more: the Baby Name Wizard Blog. This blog is about much more than helping parents name their kids. It digs deep into interesting trends of all sort, breaking things down in far more detail than the other sources I usually use. 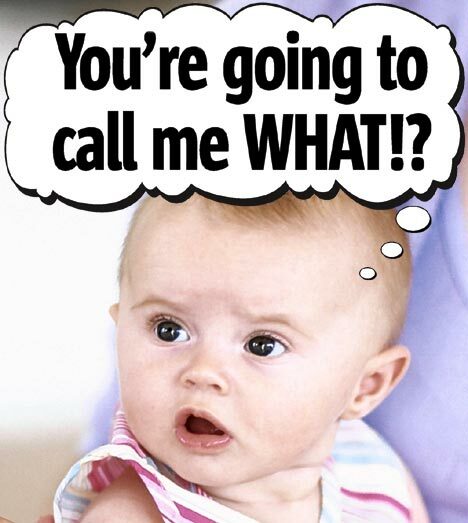 For example, the Social Security Administration will tell you the relative popularity of baby names by year, but without a lot of effort, it won’t tell you that a third of American boys today are given names ending with ‘n’, or that white boys are almost universally are given names with stress on the first syllable, while names with stress on the second syllable, traditional or otherwise, are now found mainly in the black community. Names have very complicated associations with race, socioeconomic background, and history that people generally don’t consciously notice, but would be critical if you want to make the right impression with you character. Or, conversely, you can give your character an incongruous name to make them stand out. Some websites list names by language, but that won’t tell you that modern British names tend to be “cute” names like Alfie, while American names are more formal, like Landon. And then there are the fascinating tidbits about the oddities of our time. There is a definite trend toward uncommon or “made up” names in America over the past fifty years. Nevaeh has now become so common that people are creating variants of it. Yet “weird” names are also apparently on the rise in Sri Lanka, not to mention the four-generation cycle of names. You can even find (semi-) political commentary, if that’s your cup of tea, like this analysis of the name of Pope Francis. If you care a lot about your characters’ names, or just the sociology of names, it’s definitely worth a look. This entry was posted in Writing and tagged baby name wizard, names. Bookmark the permalink.